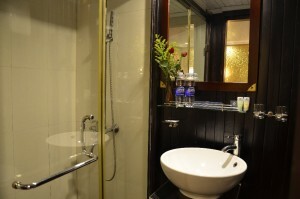 Helping you experience the wonder and beauty of Halong Bay is our goal. This UNESCO World Heritage Site, with its thousands of islands, features incredible limestone formations, mysterious caves, pristine sandy beaches and luscious blue water. 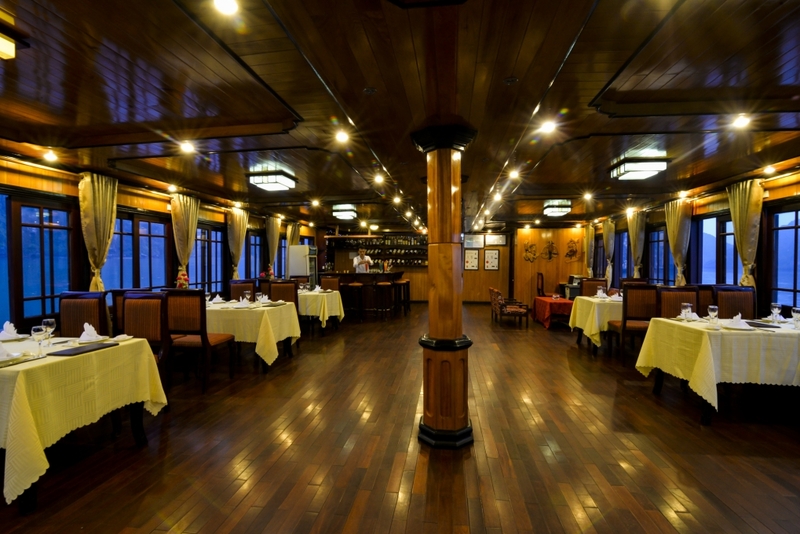 It has been home to the seafaring people of Halong Bay for thousands of years. The islands seem endless and the views can take yours breath away. 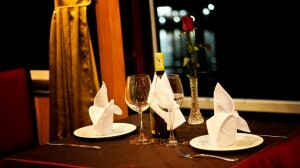 A V’Spirit Halong Bay Cruise will make memories that you treasure forever. On a V’Spirit Cruise, there is much more than just sightseeing available for your pleasure. We offer kayaking, swimming as well as squid fishing. A cooking class is an option, as nature walks and cave visits. 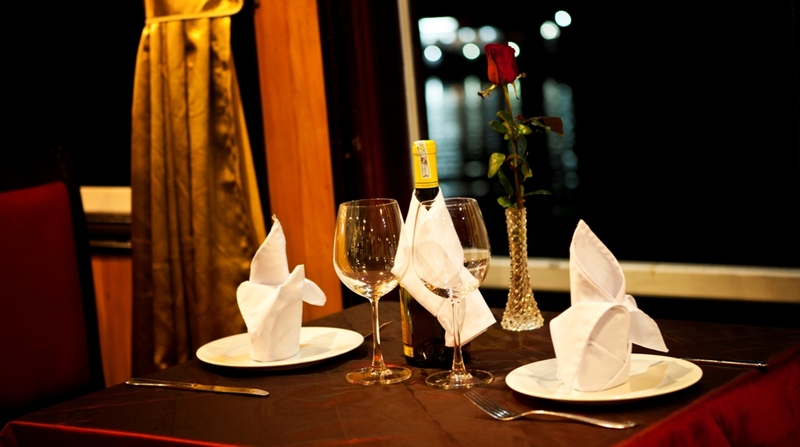 In addition, we can provide for celebrations of all kinds – birthdays, anniversaries, New Year’s – whateveryou like, and your event can be planned to take place onboard, on the beach or in a cave. 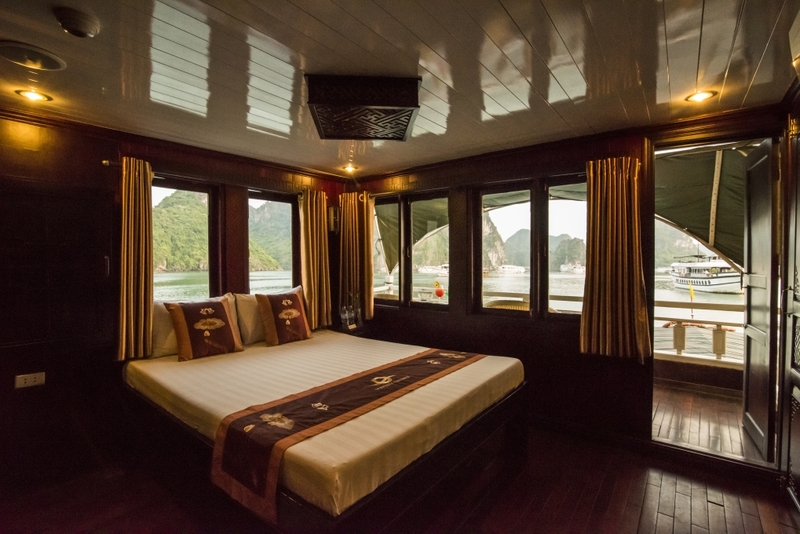 You could even reserve the whole boat for your wedding party of honeymoon. 19h00 Dinner is served. 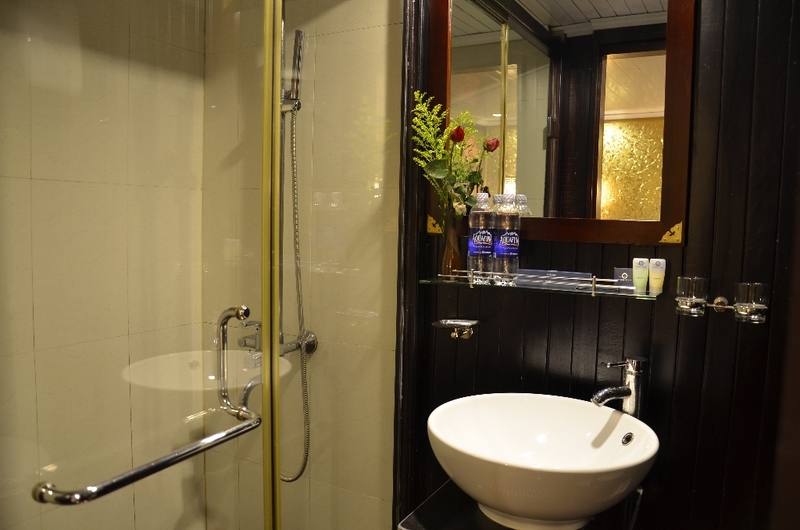 Socialize with other guests, take part in board games, fish for squid, or just laze around.Overnight on board. 12h30 – 13h00 Transfer back to Hanoi.Trip finishes at around 17h00.